Virga Woodworking, Inc. is a premier woodworking and contracting company that builds custom homes, cabinetry and furniture for clients in Westchester and Fairfield County. 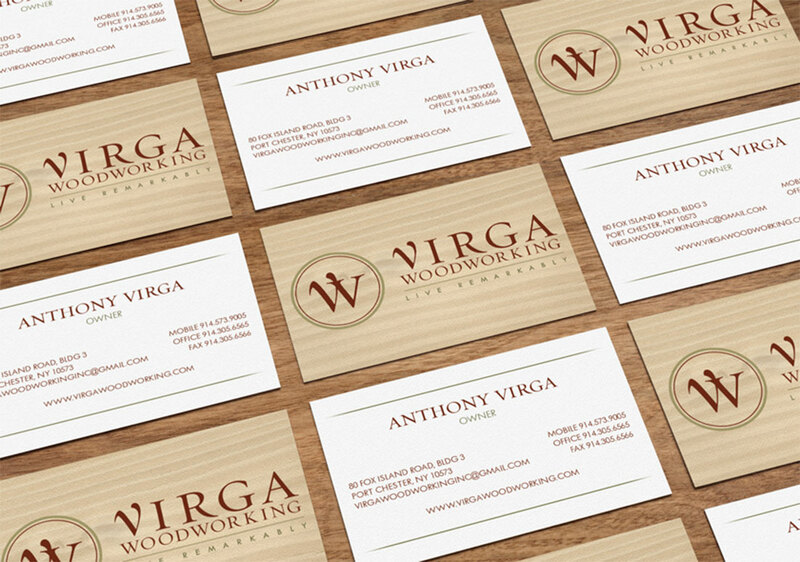 As a high-touch company in an industry flooded with competition, Virga Woodworking, Inc. needed to distinguish themselves. They challenged us to create a construction marketing plan and unified brand identity to help them create a stellar client experience throughout every touch-point. Challenge accepted. brandbliss’ creative diligence really brought my vision to life. It’s not easy to just hand your company’s reputation over to someone else- it’s scary. But in the end, they improved our brand in ways I didn't even know were possible. 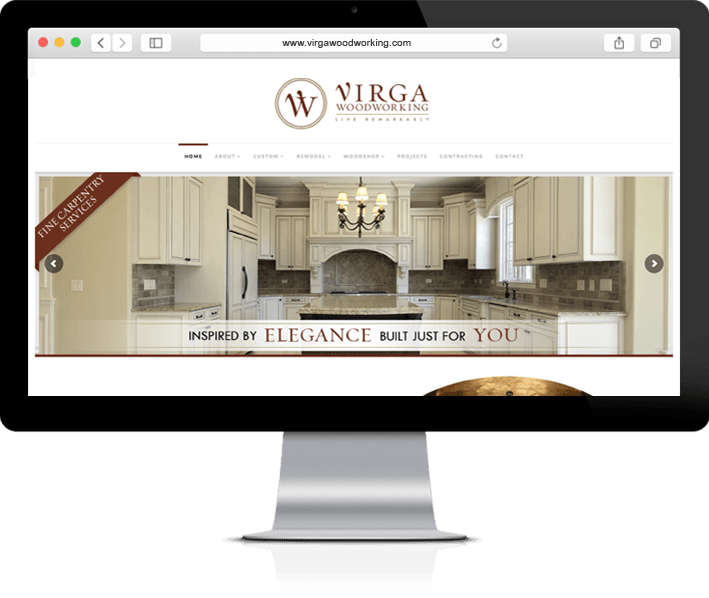 Owner Virga Wood Working Inc.
We built a strategy on the foundation of Virga’s mission to craft fine homes, cabinets and furniture that clients feel are extensions of themselves. This began with a clean brand identity symbolic of that mission. Then we moved on toward unifying their entire identity support system which included: business cards, stationery, thank you cards, envelopes, letterheads, email signatures, etc. to pull everything together elegantly and professionally. In the end, we built a responsive website to showcase each area of specialty. A stunning new website that brings attention to Virga’s expertise in artisan woodworking, distinguishing them from general contracting services. Creative and on-point copywriting captures the interest and imagination of their clientele. The newly unified front makes them stand out among competitors, increases their visibility, and reinforces customer trust in their company. We helped Virga conduct an experience plan. This gave them a deeper understanding of the customer’s experience from the consideration phase to post-hire phase with follow-ups and maintenance. brandbliss uncovered numerous opportunities for Virga to offer better service, up and cross sell, and earn referral business.